Home Topics Stop Aquatic Hitchhikers! Whether you're a boater, angler, kayaker, or an overall recreational water enthusiast - Pennsylvania Sea Grant has resources to help you better understand the problems that can result from unintended transport of hitchhikers like mussels, plants, seeds, or fish from one location - which may be a native home for that species - to a new water body where it does not belong - and where it can wreak serious havoc for the species that do live there. 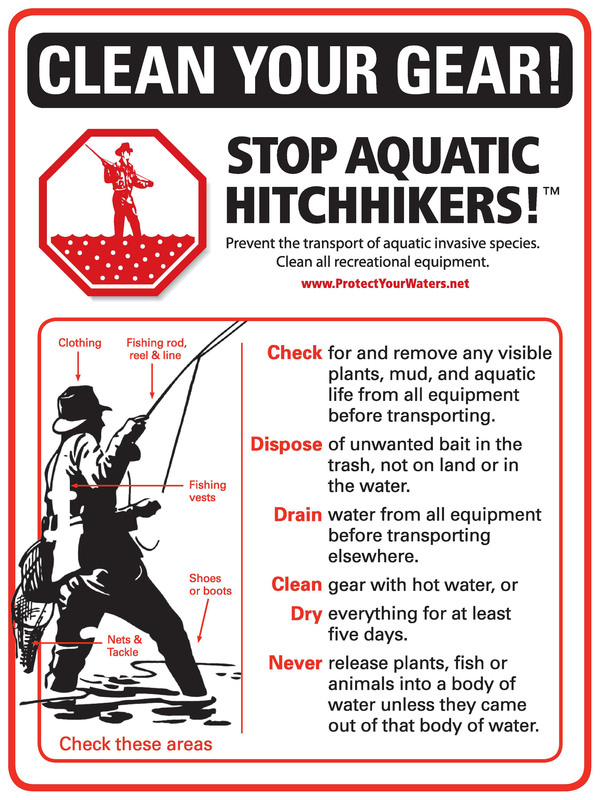 These hitchhikers, or aquatic invasive species, also cost Pennsylvania residents money. Each year we pay millions to prevent, eradicate and control invasive species - and that's not just in our waterways but in our forests, parks, and open spaces too. Learn more about invasive species, both aquatic and terrestrial. We've developed guides, fact sheets, signs, and tips for everyone from home aquarium owners to bait dealers. If you have questions, our staff can help - just check out the invasive species page for details. Remembering to "Clean, Drain, and Dry" every time you're in the water can make a big impact.